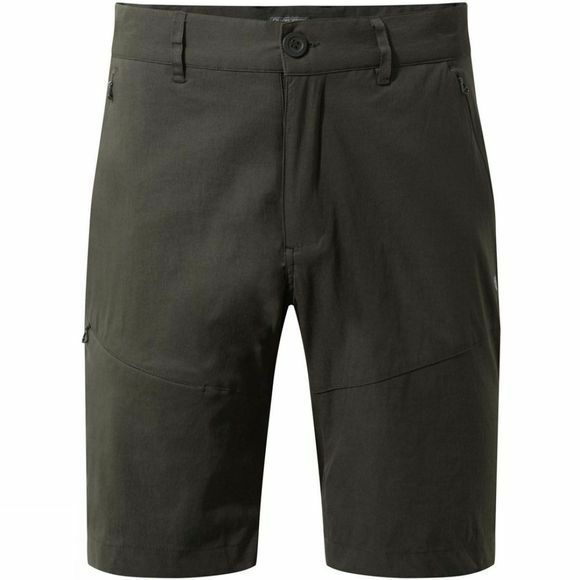 The Men's Kiwi Pro Shorts from Craghoppers are lightweight, flexible and fast-drying shorts designed for an active lifestyle. With 4 zipped pockets, there is plenty of room for all the essentials like your phone, keys, etc. With UPF 50+ protection as well, they help protect from the harmful sun but we still recommend some sunscreen as well just to be safe.